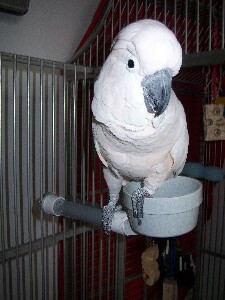 Parrot Society of NW Ohio's Blog | Education in creating and maintaining happy homes for parrots and people. Hello everyone. 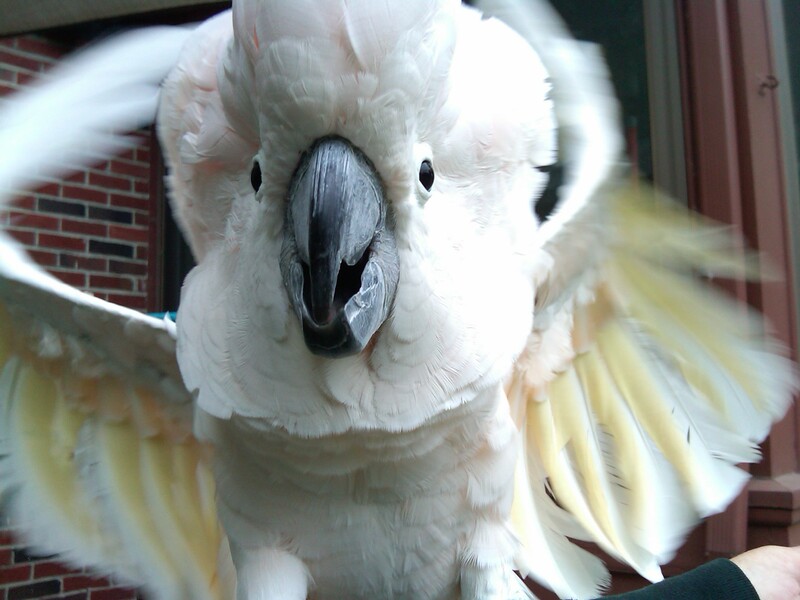 We wanted to let you know that the annual Ann Arbor Exotic Bird Exposition is approaching quickly and lasts from 10am to 3pm on Sunday, August 5th, 2012. This year will be held in a new location in close proximity to the previous location. Our next Parrot Society of NW Ohio meeting will be tonight. It was suggested that we get together for dinner and enjoy the summer on a patio. We will be meeting at Shorty’s BBQ at 5111 Monroe Street Toledo, Ohio 43623. We have a patio table reserved and if you would like to meet early there will be several people meeting at 5:30. If you can not make it that early, still join us. We won’t be ordering dinner until after our regular meeting time of 6:15. Bring your ideas, questions, and topics. We will discuss anything parrot while eating dinner. We hope to see you tonight. "Hey, where are my toys, my breakfast, and by the way, can you scratch me here?" It is time again for our next monthly meeting. 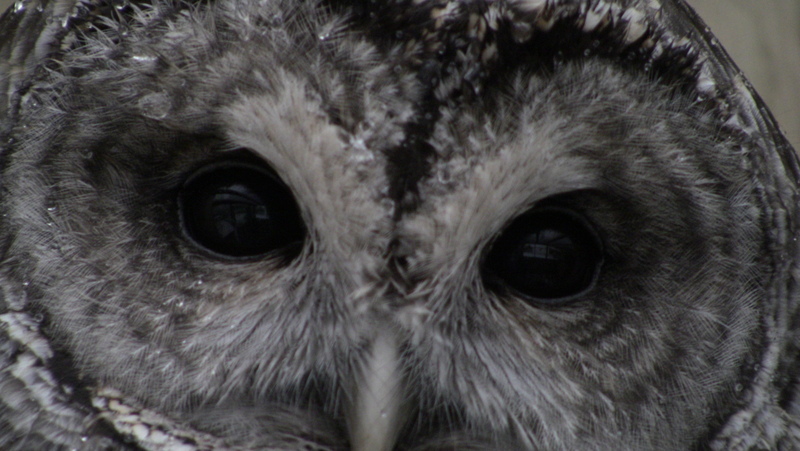 The topic picked for the next meeting is “Dealing with Bird Burn-out.” It is a common denominator among many bird owners. Come and join us Monday, March 12th, 2012 and discuss some of the causes, concerns, preventions, and possible solutions. This will be an open floor discussion for all to give input, understanding, and feedback. The meeting will begin at its usual time of 6:15pm and conclude at 8:15pm. We hope to see you there. 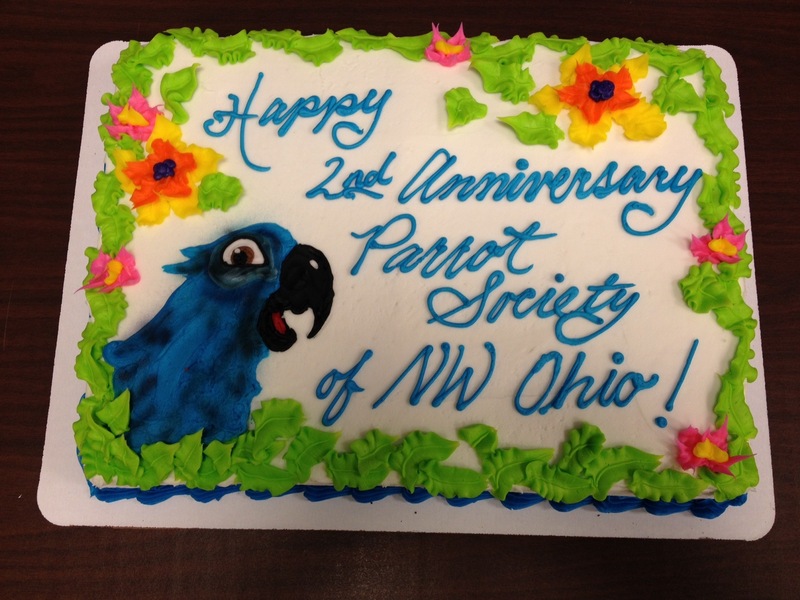 Monday night’s meeting began with familiar faces and a huge celebratory 2nd year anniversary cake to The Parrot Society of NW Ohio. Two years strong of providing an educational outlet to the companion parrot society of parrot caretakers here in NW Ohio and nationwide through our blog and our Facebook page. 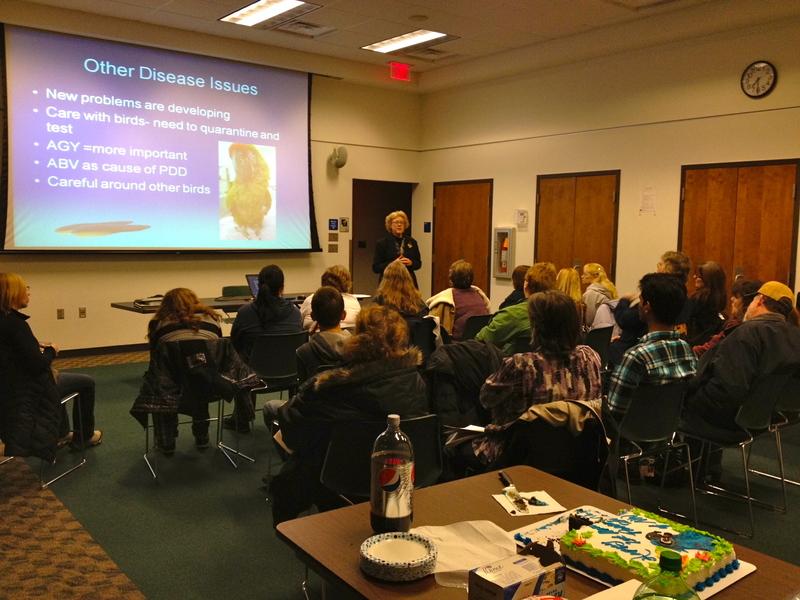 We would also like to send out a ‘thank you’ to Dr. Susan Orosz for being this month’s guest speaker on Disease Prevention. Her presentation covered information on diseases to be aware of for the companion parrot caretaker and the importance in being able to note changes in normal behavior. Most of all, we would like to acknowledge the members of The Parrot Society of NW Ohio that make it what it is. It is the members who have made the organization the powerful, educational tool it has become to companion parrot owners. Thank you and thank you to the organizations and individuals who help make us what we are. Here’s to another great year! Winner for the Holiday Photo Contest! Our Holiday Photo contest winner, "Santa Joshua" entered by Crystal Raida Klooz. This is the first of our several upcoming contests. 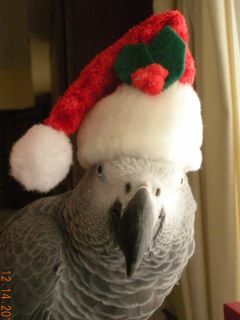 We recently had a Holiday Photo Contest for the best, safe, holiday photo of your parrot(s) in a Holiday themed photo. We had so many entries on our Facebook page. The judges had a hard time deciding which one to pick. There were four judges and each picked two. Out of the eight picked, we have a winner. We thought about having a second place but thought we would save that for future contests. from Bird Toys by Lara Joseph. We want to thank all of those that entered. The photos were fabulous. You may want to subscribe to our blog at the top right. We plan on having many more contests and events all year long. Always feel free to post to our blog and ask questions, no matter where you are from. We are all here for the birds.